The county government may soon take over billing real estate taxes for many towns—meaning residents might soon have only one bill to pay. The towns of Leesburg, Purcellville, Round Hill, Hamilton, Lovettsville and Middleburg assess a real estate tax on top of the county’s tax. Right now, they do this separately, making for two different real estate tax bills and possibly different deadlines. The proposal would offer consolidated billing. And consolidated personal property tax payments could follow soon after. The Purcellville Town Council has opted out of the idea. If the county takes over, it would keep one percent of what it collects on behalf of the towns to offset the added cost. According to county Treasurer H. Roger Zurn Jr., it would mean taking over approximately 59,560 new personal property accounts and 20,462 parcels. But there are a lot of steps between here and there—not least getting new legislation passed through the General Assembly to allow this change. It would also mean giving up a longstanding hallmark of Zurn’s 21-year tenure as treasurer: vehicle decals. Zurn has long defended them as an important tool for making sure people are paying property taxes on their vehicles—you can’t get a decal unless the taxes are paid up. He said that’s the part of the change that gives him “the most heartburn” but that handling an estimated 60,000 new accounts would be “an administrative nightmare” that his staff simply can’t handle. County supervisors have asked him about getting rid of decals before. “I am in full support of not having decals, for many reasons, least of which is it’s 2017 and it’s time for Loudoun moving into the new millennium,” said County Chairwoman Phyllis J. Randall (D-At Large). To offset any potential loss of revenue, Zurn proposed increasing the local vehicle license fee from $25 to $30, although not every supervisor was agreeable to that idea. 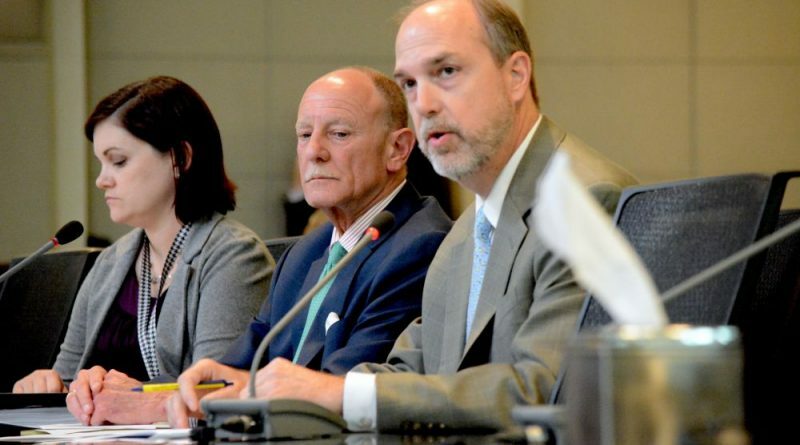 “I’m only one vote, but I can’t put the burden on the people who are doing the right thing to cover the people who aren’t doing the right thing,” said board Vice Chairman Ralph M. Buona (R-Ashburn). Supervisors voted unanimously to send the question to the board’s finance committee for more discussion. If eliminating the auto decals is costly, do as the Town of Leesburg did. Issue a decal that is permanent as long as you own the car. It will show that the car is registered and garaged in the County. If you don’t pay the tax, you would be subject to an increasing fine and possibly a boot. The County should be able to track down Scofflaws. As I have aged I find that my body does not bend as it easily as it once die. Applying a decal is increasingly difficult. I would love to get rid of that decal with the two-bit politicians name on it! How about a compromise: keep the decal without the name and save some printing costs.